Last year, Spain’s listed banks recorded revenues of €10,118 million from the sale of assets from their property portfolios. Popular recognised the highest volume of sales with €2,109 million, followed by Santander (€2,070 million) and BBVA (€2,000 million). These three banks accounted for 61% of such revenues. The remaining 39% was spread between Sabadell with €1,902 million, CaixaBank with €1,312 million, Bankia with €465 million and Bankinter with €260 million. And these entities expect to increase their sales in 2016. (…). 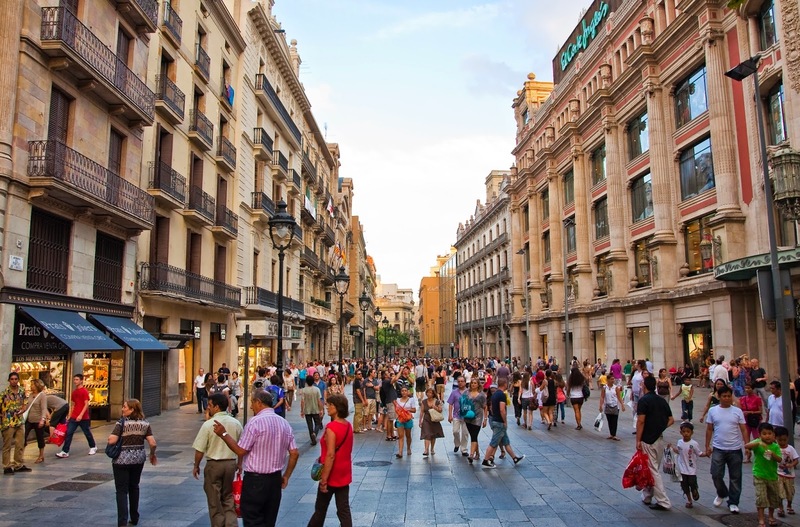 House sales in Spain increased by 11.1% in 2015, thanks to the growth spurt in the second hand market, to reach 354,132 operations, the highest figure since 2011, according to data from the National Institute of Statistics (INE). Popular stepped on the accelerator during the year, with a 40.3% increase in these revenues, which meant that it exceeded its forecast sales for the year of €2,000 million, by €109 million. If all goes according to plan, then the bank will close this year with sales of €2,800 million, whereby increasing its volume of these operations by another 33%. Popular groups these types of assets into its real estate arm Aliseda, which it controls 100%. Aliseda Servicios de Gestión Inmobiliaria, in which Popular holds a 49% stake and Värde Partners and Kennedy Wilson control the remaining 51% stake, is responsible for marketing these assets, which current amount to 31,000 units. Last year, Santander sold 11,423 properties in total, for €2,070 million, according to the entity. The sale of foreclosed assets amounted to €898 million, with a corresponding gross value of €1,375 million. The bank led by Ana Botín controls 100% of Altamira Santander Real Estate, which holds all of its real estate assets. Apollo is responsible for marketing the assets through Altamira Asset Management after Santander sold that entity to the US fund. By contrast, BBVA retains control over 100% of its distribution process through its subsidiary Anida. The bank recorded revenues of €2,000 million last year from the sale of 21,082 real estate assets. The entity says that these operations were particularly important during the final quarter of 2015, as their returns improved. CaixaBank recognised €1,312 million from the sale of some of its properties (€1,380 million in 2014) and €765 million from rental income (€1,132 million in 2014). The improvement in the real estate market meant that these transactions mainly took place during the final quarter of the year, with a gain of 2%, although the final balance for the year generated a loss of almost 6%. (…). Sabadell sold 10,949 properties for €1,902 million, representing an increase of 16% during the year, thanks to the increased interest from investors in the Spanish real estate market, which allowed the entity to reduce its exposure to problem assets more quickly than forecast in its Triple plan. In this context, the discounts on the gross value of foreclosed assets have been lower, down from 51% in 2014 to 44% last year, said the entity. Sabadell has started 2016 with a boost in this segment, thanks to the sale of 4,500 homes to the fund Blackstone. (…). Bankia generated revenues of €465 million from these sales, up by 56% compared with 2014. (…). The entity…channels its sales through Haya Real, a wholly owned subsidiary of Cerberus. Finally, Bankinter sold 2,496 properties, up by 61% compared with 2014, but turnover from those sales fell by 5.3% to €260 million. Source: Expansión (by Elisa del Pozo), link. Translation Carmel Drake. Spanish Asset Sales.